My roots run deep in the rural farm community of Friendship, Wisconsin. My fraternal family line can be traced back to Thomas Roberts, a Welshman born in 1831. Thomas arrived with two bothers in New York, but sadly, he became separated from them and never saw them again. 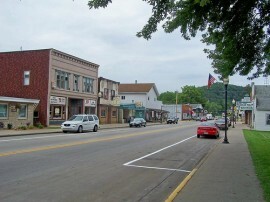 Thomas immigrated to Adams County, Wisconsin where he started a family which still boasts many local residents. Although my name is Welsh, the women who married Roberts men for the next several generations were of Scandinavian descent. I am a mutt of the American melting pot. Many Scandinavians, Germans and Poles were drawn to central Wisconsin. The climate was something they were used to, so adapting to the new way of life was a bit easier for them than most. I grew up with four seasons, although the winters are particularly long and cold. Like everyone else, I adapted to the climate, but I never really grew to like it. The first snow in the fall is exciting, and sitting in front of a cozy fireplace while a blizzard rages outside is a special experience outsiders don’t fully understand. However, the fortieth snowfall of the season in April and hard freezes in May are experiences I’d rather forget. It’s a wonderful place to visit, but I don’t miss living there. In the last ice age, much of Wisconsin was covered by glaciers. Adams County was actually the bottom of a large glacial lake which left behind a flat pile of sand which slowly drains to the adjacent Wisconsin River. The marshlands are drained by a series of small creeks and dotted with a mixture of pine trees, maples, and oaks. The landscape is relatively uniform except for the unusual castellated mounds which spring up across the county. 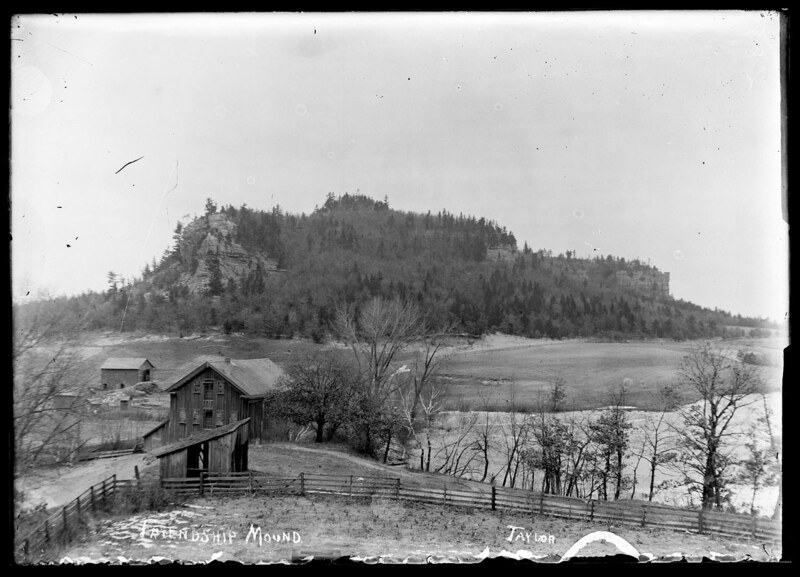 These mounds are characterized by exposed sandstone rock outcroppings elevated above the treeline providing views of the surrounding countryside. Just as Ayers Rock arises from the Aboriginal outback, these mounds have long been a spiritual magnet for local peoples dating back to the Native American Tribe of Roche a Cri who inhabited this area. These earliest inhabitants carved hieroglyphs depicting the key events of daily life. Growing up, I explored many of these mounds, and I discovered carvings from settlers dating back to the nineteenth century. These mounds draw me in as they have others for centuries. When I approach I feel like I am entering holy ground, seeing Gaia, naked and exposed. These rocks feel ancient and unchanging surrounded by an ephemeral environment of fire-prone forests, lakes, and marshland. 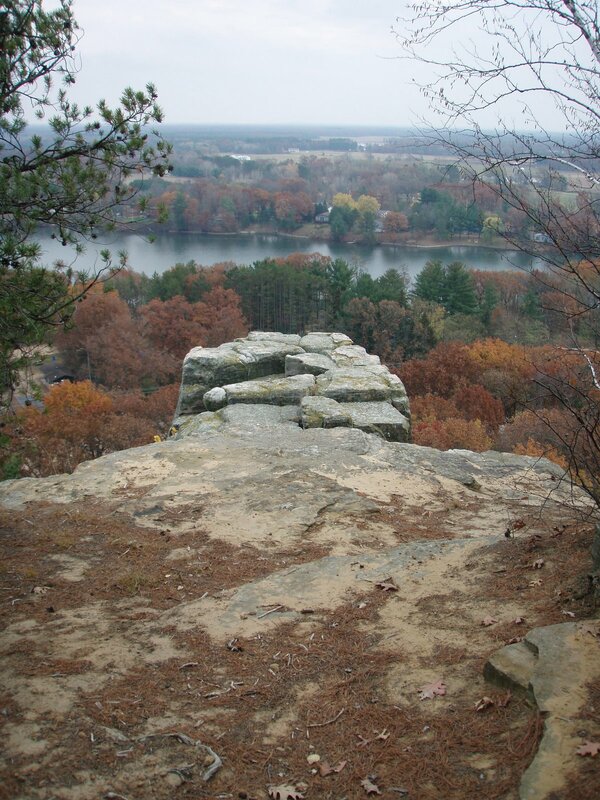 Whenever I go back to Wisconsin to visit my home town, I go climb these rocks. For me it’s a religious pilgrimage. Central Wisconsin is far enough south that the growing season permits salable produce. Fifty miles further north, and timber is the only harvest. My ancestors were farmers making a living from the land. It was a arduous yet uncomplicated life. They grew crops, ate what they needed, and sold the rest to obtain a few niceties. They knew their neighbors, and they banded together to share seldom-used farm equipment, protected what they had from outsiders, and enjoyed a beer or two at the local tavern. A close-knit community developed. The local economy was based on crop production, and trade revolved around the mills which sprung up along the various creeks which crisscrossed the land. Servicing an agrarian economy took merchants. My great-great-grandfather Rufus Roberts was one of these entrepreneurs. 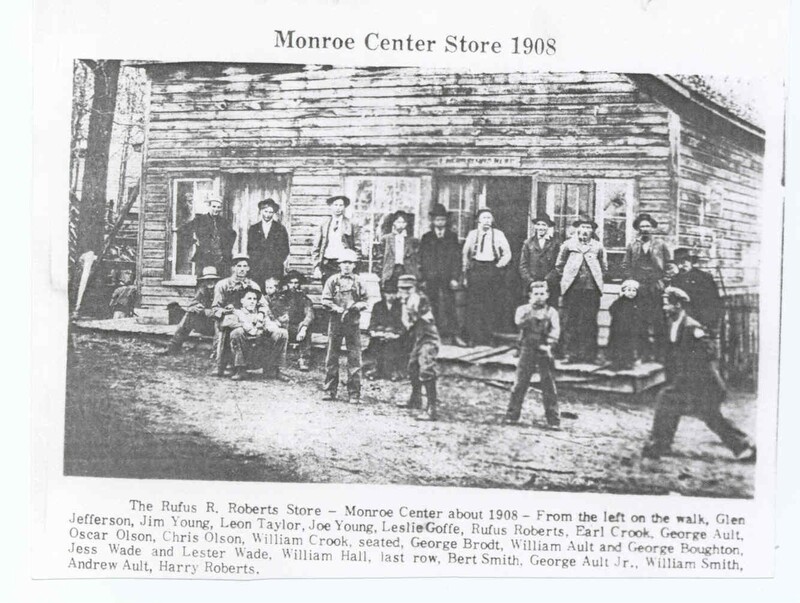 He started the Monroe Center Store in 1898 and ran it at the turn of the twentieth century. Rufus Roberts sold the school district a lot for the first elementary school in the area. He also took over the local sorghum mill and operated it for several years. At one point, Rufus bought the old county courthouse, moved it on rollers by horseback to a new location, and converted it to four apartments. As a community leader, he began the forth of July parade in Monroe Center and fostered it’s growth over the years that followed. 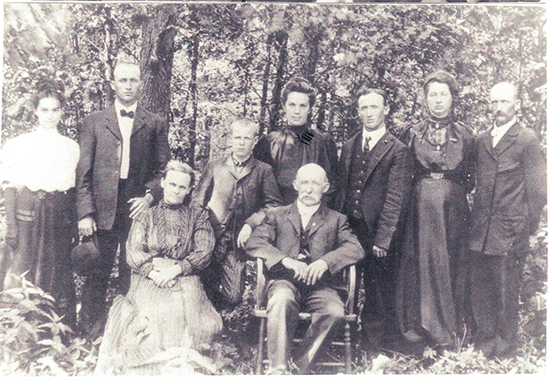 Rufus and Tilly, my great-great-grandparents (seated) were the parents of William Roberts (second from left) who married Elizabeth Carleson. 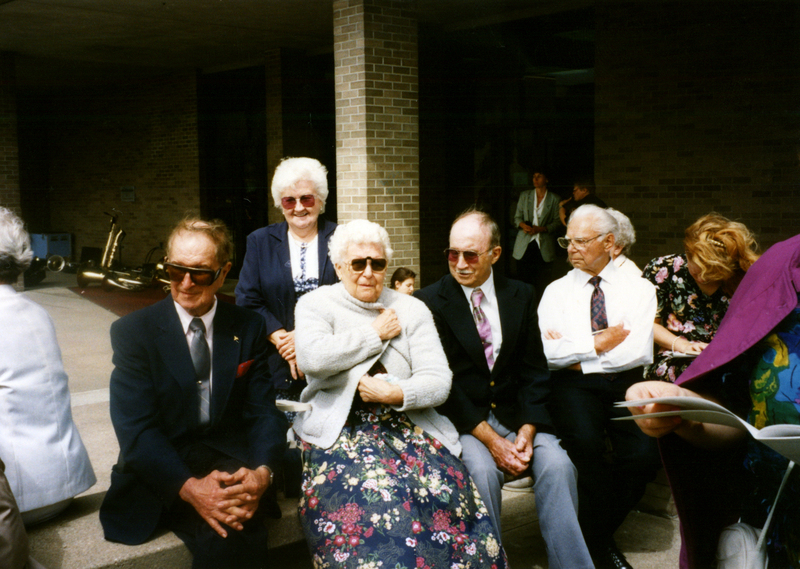 William and Elizabeth had five boys: Roger (my grandfather, now 94, on the left), Alva, John, Otto, and Claude. William and Elizabeth acquired the prime farmland just outside the farm community of Friendship, Wisconsin. This farm is still worked by the Roberts family today. Adams County, Wisconsin, is the land of my forefathers. Many of their decedents still live there. I try to go back every year to catch up with family and friends and find myself all over again. I get very nostalgic, and it serves to ground me in what’s real. Some part of me will always call it home. 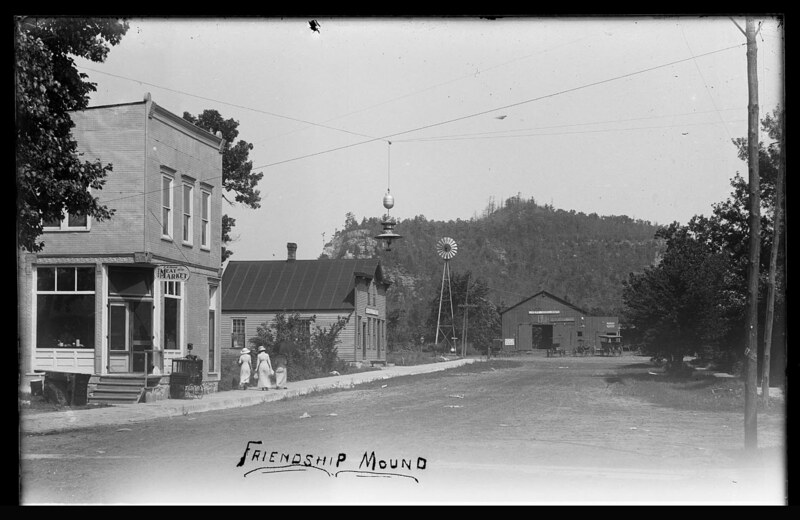 Friendship, Wisconsin, is a farm community of about 700 people. has been the county seat of Adams County since 1848. When the railroad came to the area, local landowners demanded too much money, so the railroad moved the station two miles to the south, and the city of Adams sprung up in the gap between the station and the village of Friendship. The city of Adams is home to less than 2,000 people, and the entire county has less than 20,000. Needless to say, it’s rather rural. Rural communities don’t change much. The building facades change periodically as businesses come and go, but for the most part, those towns are the same today as they were forty years ago when I was a child. In all likelihood, these cities will be same for the rest of my life. I take great comfort in that. The sameness of my home town is something I can count on. No matter what else changes in my life, my connection to the past will always remain. These towns will always be familiar. My grandfather, Roger Roberts, grew up in Monroe Center. World War II started when he was in his early twenties, so he enlisted in the US Army Airborne. While in basic training in El Paso, Texas, he became severely dehydrated on a long march and his kidneys failed. He was sent to the hospital to recover. While in the hospital his unit was sent to France where it was decimated on D-Day. If my grandfather had not had kidney failure on the long march, he would have gone to battle and died on D-Day with the rest of his unit. I try not to think about the crazy way Fate intervenes in life. My grandfather became a Sergeant in the Army and ran the kitchen cooking for over 180 men each day. His most harrowing experience was during the Battle of the Bulge when his 101st Airborne unit was overrun in Luxembourg by German Panzers sixty-eight years ago this week. He survived, thankfully, or I wouldn’t be here to tell the story. Roger returned home in 1946 after two years abroad. 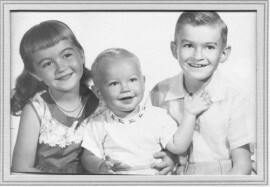 He married Edna Paulson, my grandmother, and they had three children, Larry (my father), Judy, and Kenny. He worked with his two brothers in their local salvage business for most of his working life. He’s 94 years old and still doing well. My mother’s father, Leo Wilda, settled in Adams, Wisconsin, and spent his entire adult life there. He married Margaret Wilda and had five children: Pat, LuVerna, Audrey (my mother), Mary, and Mike. My grandfather always had a deep connection to the land. He liked to farm and grow his own vegetables. I remember he would start his tomatoes under grow lights indoors to get a couple of weeks head start on the growing season. He maintained his own garden plot until late in life. He also maintained the grounds at the local cemetery, and he maintained the local 9-hole golf course, all part-time. If the sun was shining, he was probably outside. Leo Wilda passed away in 2000 at the age of 83. There is a lot to admire about both my grandfathers. When I think about my mother’s father, I always deeply respected his connection to nature, and I enjoyed his quirky sense of humor. When I think about community, I remember what it was like growing up in a rural area with family and friends. Kinship and shared values bound us together. 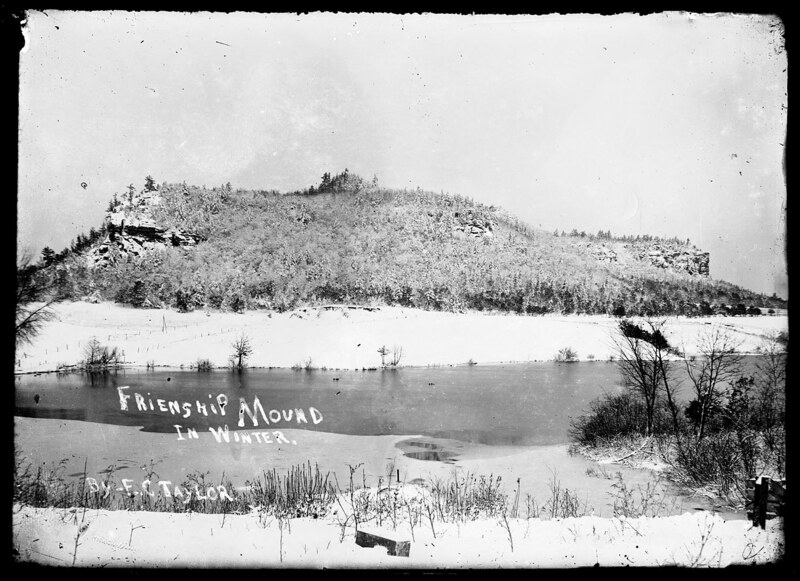 Prospering in an inhospitable climate required people to come together for mutual benefit. There is a sense of shared sacrifice and creating something greater than oneself for the benefit of others. It’s one of the feelings I enjoy about blogging and providing information for the greater good. I am a small town the child of two families with deep local roots and a love for the area. Both sets of grandparents and much of my extended family lived within a few miles of one another. It was a unique environment. I was part of a community of elders who helped guide me in the formative years of my life. I had every advantage a strong family could offer. It was a wonderful way to start out life. Over the next three days, I am going to write more about my life growing up in this environment. These are the experiences that shaped and defined my beliefs and my outlook on life. Thank you for allowing me to share this with you. This entry was posted in Uncategorized on December 28, 2011 by IrvineRenter. Very interesting Larry. As a fellow Wisconsinite (Racine 1968-03), now living in OC, I look forward to more. This is great. I read your blog every day, and hold your same libertarian (with fiscal regulation for the moron’s in the financial industry) views on most things. I have a friend who lives in Marshfield. He’s cold most of the time……..